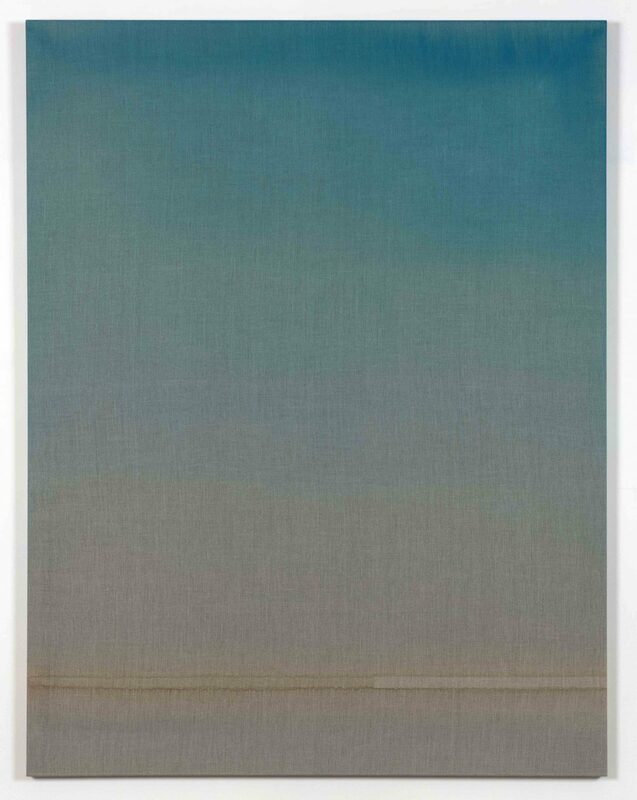 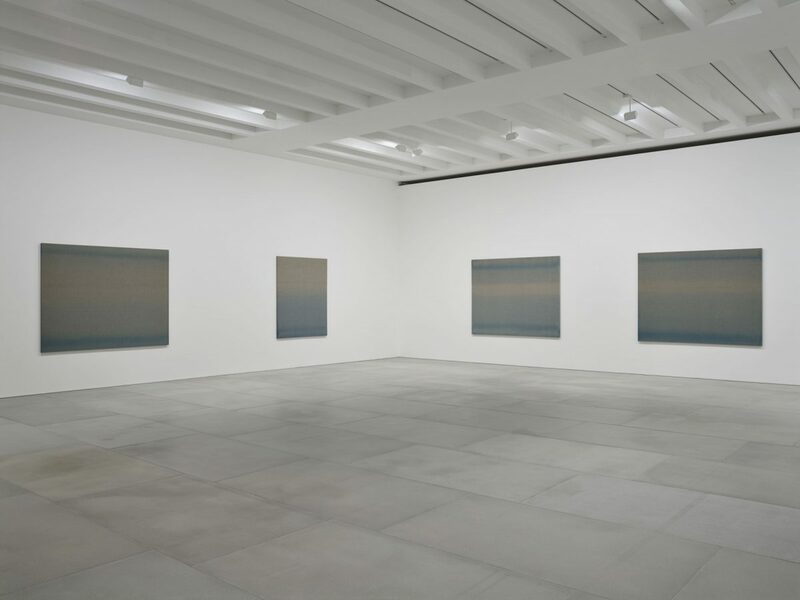 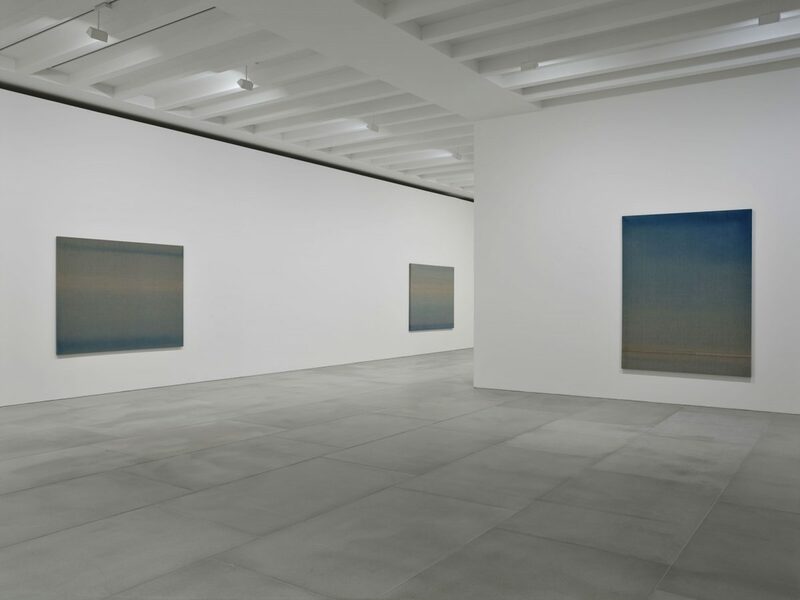 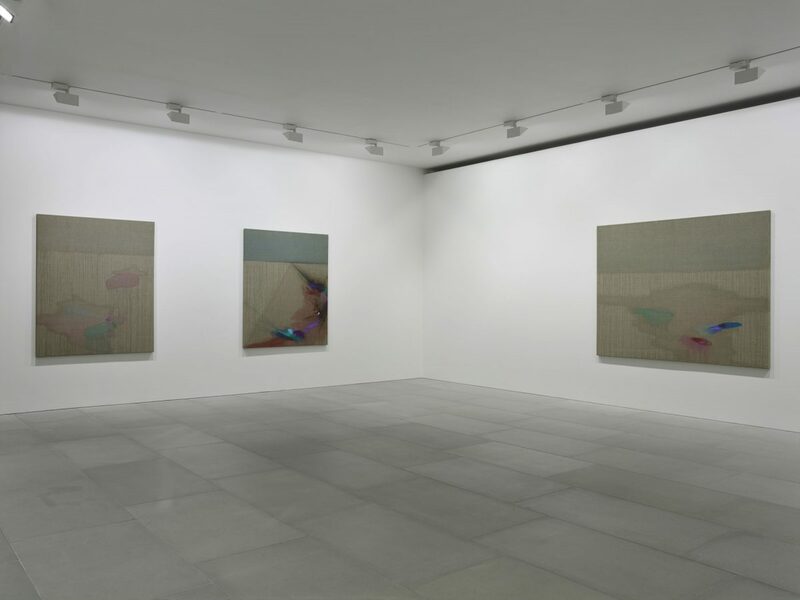 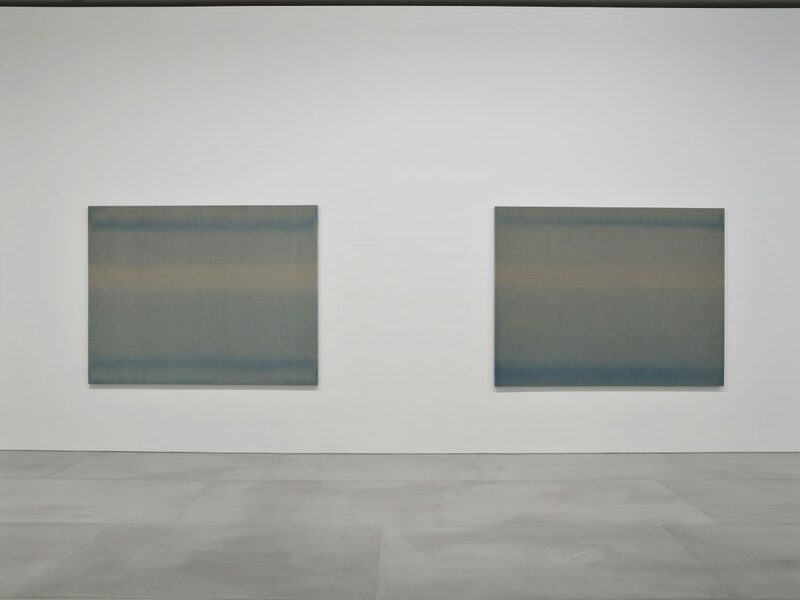 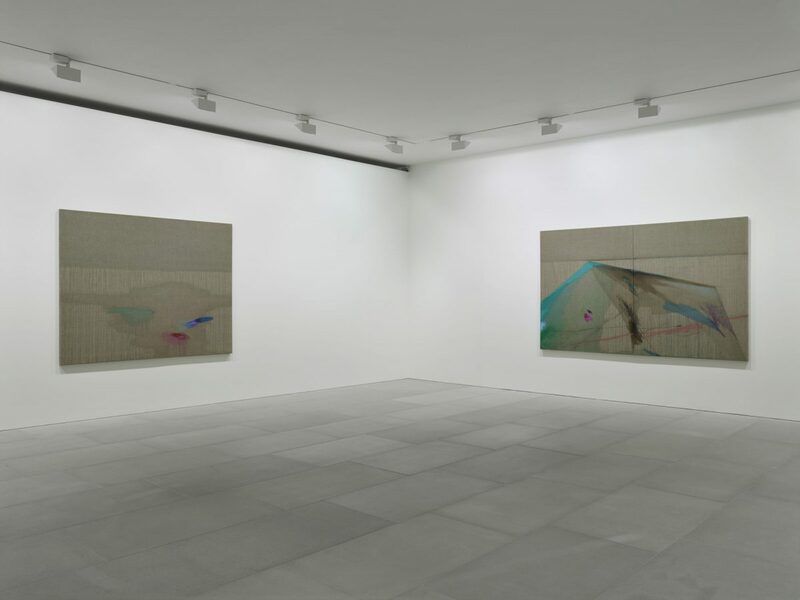 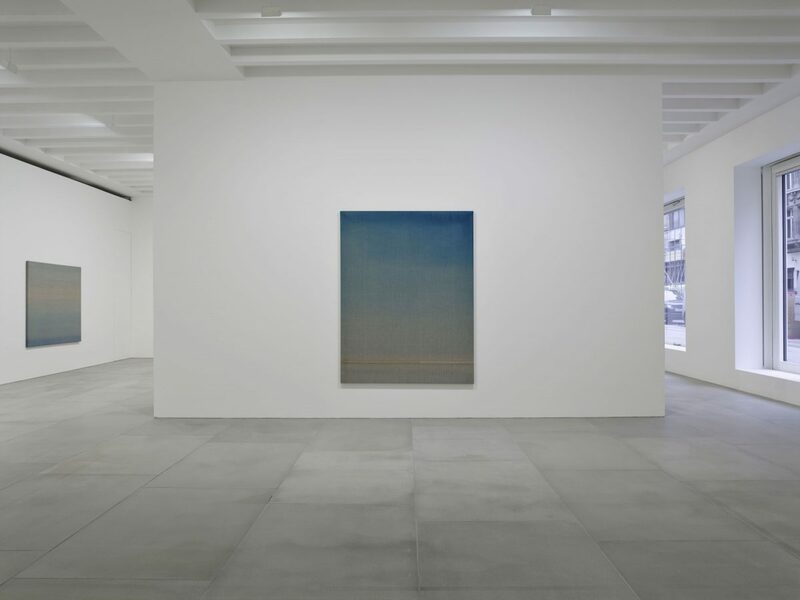 The paintings are characterised by their subtle colour gradations. 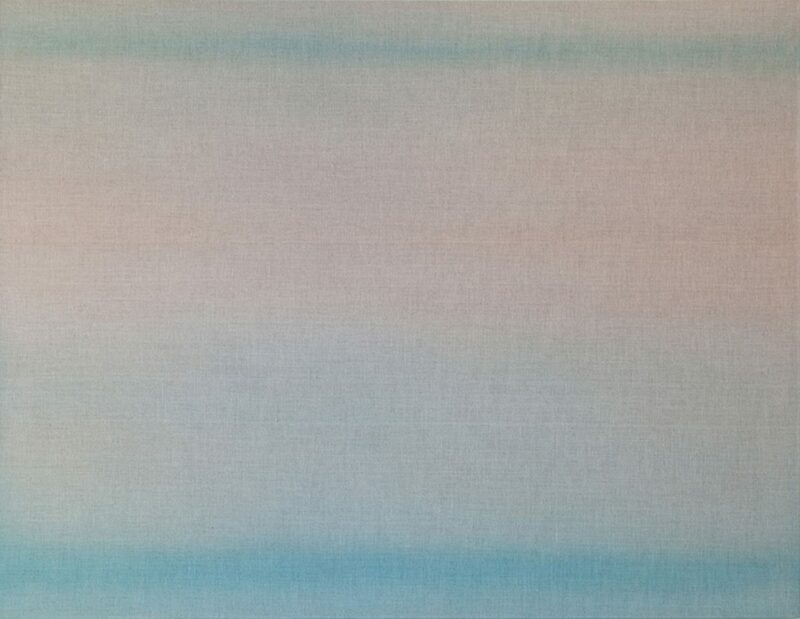 Swathes of blue pigment develop from watery washes into saturated bands of vibrant azure, tinged in places with pale, luminous pink. 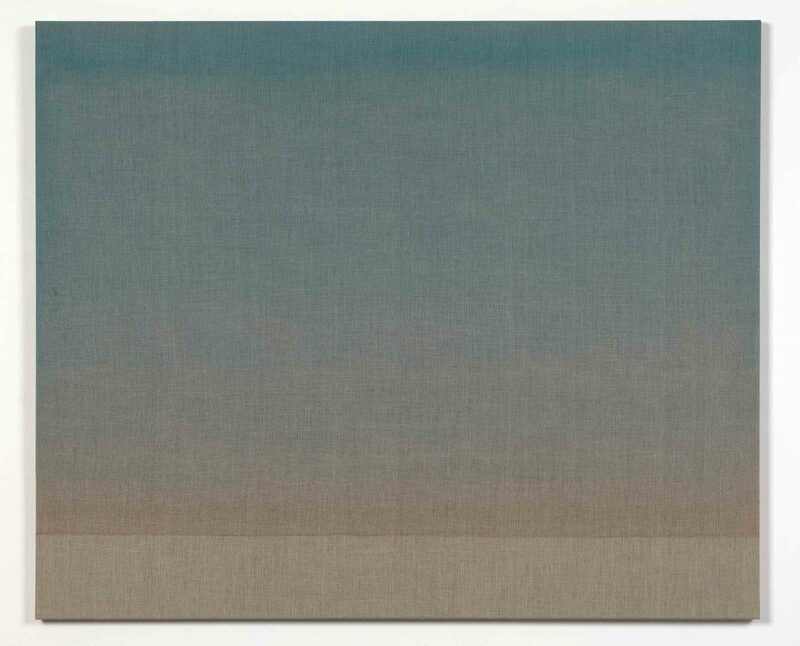 Each canvas is prepared by dousing the raw linen surface with large amounts of water, after which Bailliencourt adds layer upon layer of diluted colour. 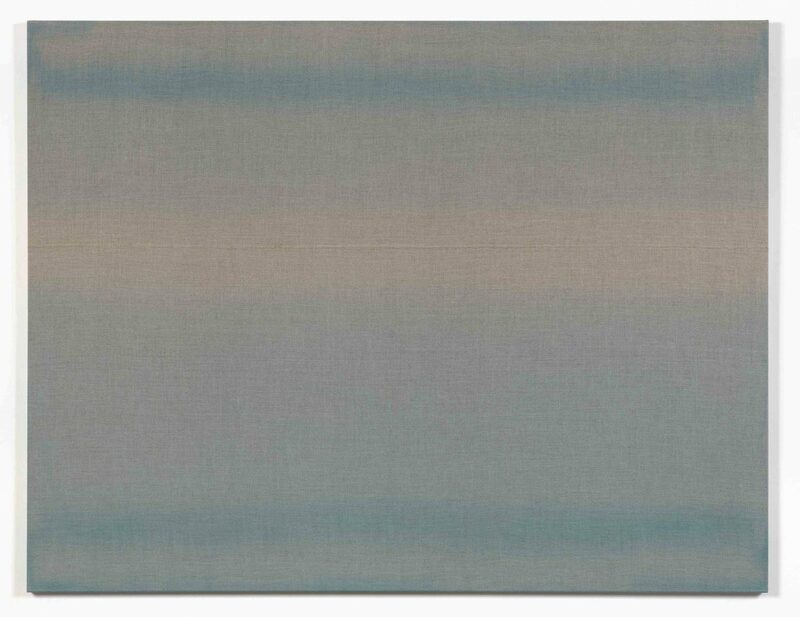 The untreated fibres react to the paint in unpredictable ways, each stroke drying at its own pace, forcing the artist to step back to let the colour of each striation develop before deciding upon another layer. 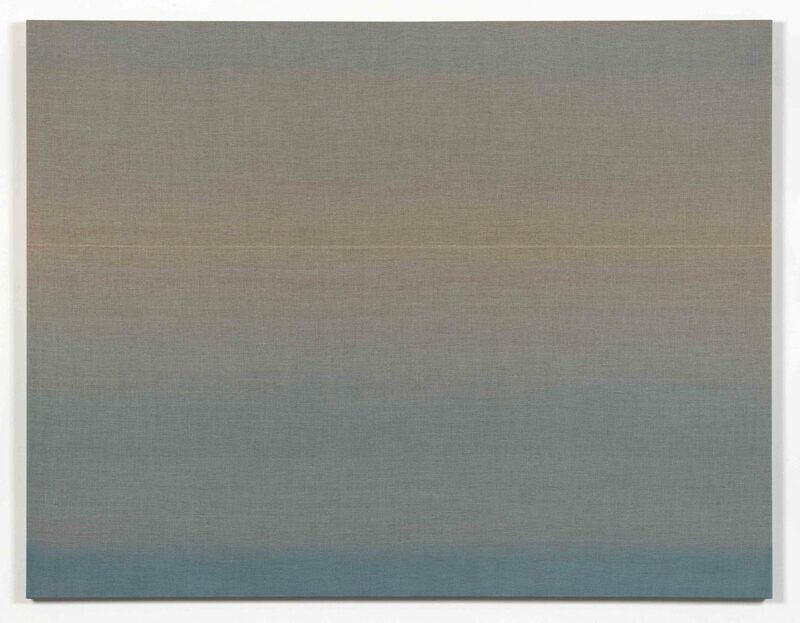 Between control and capriciousness, through the thorough process of repetitive layering, time is recorded into a landscape that emerges both slowly and suddenly.